Cologne - Considering Bundesliga leaders Borussia Dortmund have been scoring for fun under Thomas Tuchel in 2015/16, the deadline day loan signing of Belgian super talent Adnan Januzaj was one few saw coming. The son of Kosovo-Albanian refugees, Januzaj was born in Belgian capital Brussels on 5 February 1995. Nothing out of the ordinary there, until you find out world football megastars Cristiano Ronaldo, Carlos Tevez and Neymar all share the same birthday. Januzaj joined hometown club RSC Anderlecht as a ten year old, with Anderlecht academy head honcho Jean Kindermans recognising not just his ability but also the role his father played in his development: "Adnan was very well advised by his dad and he is reaping the benefits [...] He told the club: he doesn't want to rush things and he doesn't want to be an international player before getting a place in the first team in a club like Manchester United." Sure enough, the young forward hopped across the North Sea in 2011 to link up with Sir Alex Ferguson’s Red Devils. 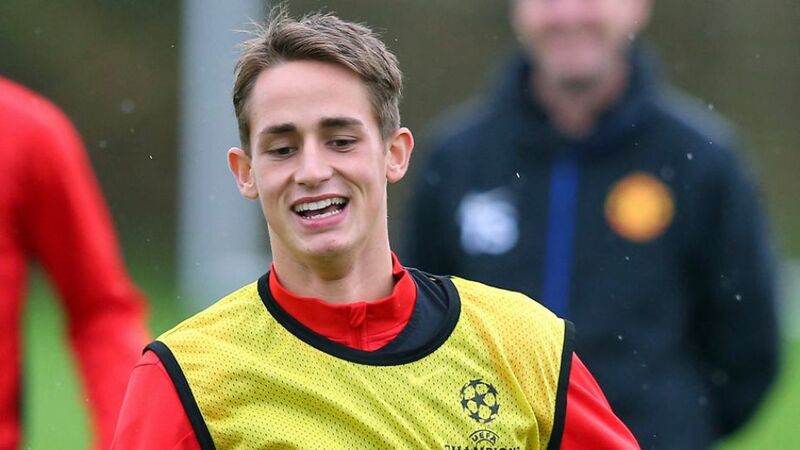 "Adnan is a beautifully balanced player," Ferguson said of the mercurial youngster. "He has to grow into his frame but he has good balance, good acceleration and is a very good technical player." Januzaj, who made a total of 47 Premier League appearances for United, earned his first cap for the Belgium national team in April 2014. The call-up might have come sooner given his skill set, but seeing as he was also eligible to play for Albania, Turkey and Serbia, settling on which country to represent was never going to be a decision he could make over night. Despite making such an impactful start to his senior career, Januzaj found the net just five times in total in England. He’ll be expected to improve in front of goal at Dortmund, although it’s worth noting he was generally seen as more of a playmaker during his time in Belgium with Anderlecht. As well as skill, creativity, technique and vision, Januzaj also offers BVB an alternative threat from set pieces. Be it from corners or free kicks, his cultured left foot is guaranteed to do some damage in the Bundesliga. What makes Januzaj such a coup for Dortmund, however, is his versatility. At one point or other, he has played in all positions across the front three as an inverted winger, false nine or left-sided forward. At 20 years old, the Belgium international still has ample room in his trophy cabinet for silverware, having won just one title for the Manchester United seniors - the 2014 Community Shield. That said, he did help the Under-21s to the league title in 2013. As the last player Alex Ferguson promoted to the first team at the end of a decorated 27-year tenure as Manchester United head coach, Januzaj is now set to become the first Belgian to pull on the unmistakable black and yellow shirt of BVB. With BVB next in action against Hannover 96, Reds head coach Michael Frontzeck should be warned: on his Manchester United debut in October 2013, Januzaj scored both goals in a 2-1 win over Sunderland AFC. The only other United player to do that was a certain Ruud van Nistelrooy.